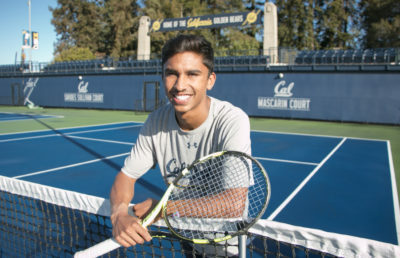 Last weekend was a critical one for Cal men’s tennis’s hopes of finishing near the top of the Pac-12. No. 41 Cal traveled to No. 45 Utah and took home a key 4-2 victory against the Utes to rise to 3-2 in conference play. Later, the Bears returned to Berkeley and made quick work of UC Santa Barbara in a 4-1 victory for their final regular-season nonconference match. The Bears broke their two-match slump after the win Saturday in Salt Lake City. 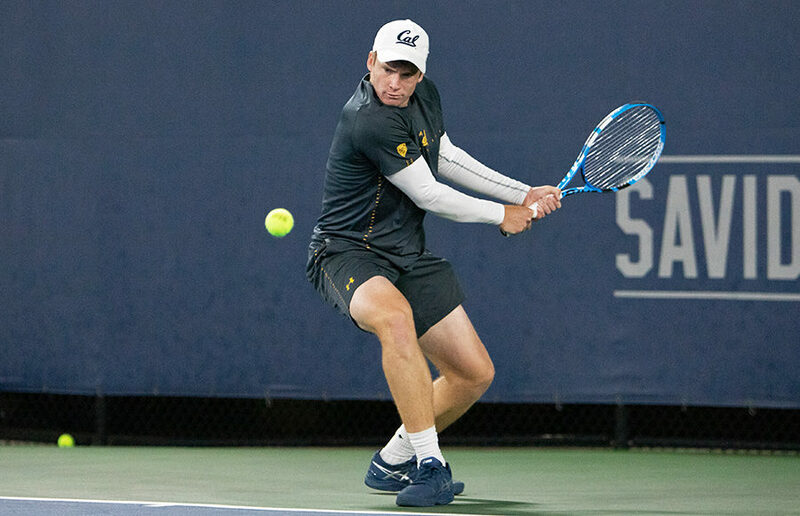 The match started out poorly for Cal, as the team lost the doubles point, despite Jacob Brumm making a return from injury to play with his partner Yuta Kikuchi. After that, the Bears and Utes split the singles matches, as each team won three of the first sets. In a rare case of clutch play for Cal, Bjorn Hoffmann was able to come back after losing the first set to win the second and third. Meanwhile, Paul Barretto, Ben Draper and Mert Zincirli were all able to close out their matches. Zincirli powered through a close match to win 7-5, 7-6 to give the Bears their third conference win. The next day, Utah defeated Stanford at the same courts to drop the Cardinal to 2-3, putting Cal in third place in the Pac-12, as the Bears hold a tiebreaker with Arizona State, which is also 3-2. On Monday, back home against UCSB, Cal won the doubles point this time, despite No. 17 Brumm and Kikuchi losing for the second time. In singles, Barretto played No. 100 Victor Krustev and joined Bjorn Hoffmann and Ben Draper in defeating their opponents to give the Bears the win. This weekend, Cal is set to play No. 12 Stanford at home on Cal Day. It’s the second time the two teams will meet this year, with the Cardinal taking the first match 4-2. “Stanford on Saturday is a rematch for us and something we feel that we can perform a lot better than we did when we played them down there,” Wright said. Stanford has lost its last three conference matches to No. 13 UCLA, No 11 USC and No. 45 Utah. The Cardinal did sweep No. 24 Arizona and No. 31 Arizona State, however, earlier in the season. This is the third-to-last conference match for the Bears, who will also play at No. 48 Oregon and at Washington later this month. Both teams are currently sitting at the bottom of the Pac-12, with 1-3 records. The Pac-12 Championships are scheduled to start in less than two weeks, with Cal hoping for a top-three seed.